Mankind has always found a way to invent tools that make tasks easier through means of innovation. Take for example the first invention made by man, the wheel. The wheels discovery paved the road for people to create an efficient transportation system for goods and people, giving mankind the ability to travel great lengths and still even to this day we can see the effects of the wheels discovery on a global scale with innovations and inventions such as automobiles, trains, and other modes of transportation. The biggest benefactor of the wheels discovery is non other then The Corpora’s very own Q.bo robot with intelligence. Q.bo with intelligence package is a mobile Arduino based robot that runs on Linux that gives it a robust performance and is able to get from place to place by 3 wheels, two big wheels in the back and a caster wheel in the front. What makes Q.bofascinating other then its impressive wheels of course is its intuitive programming that gives the open platform robot the ability to learn and memorize people, objects, and other Q.bo’s (including himself, see video bellow). 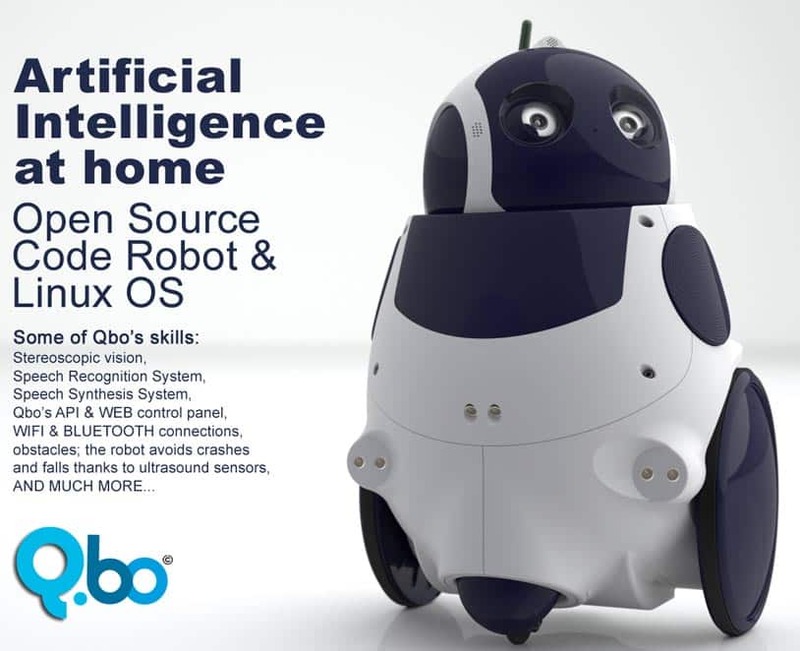 Most robots for sale require immense amounts of programming, but Q.bo is different because, Q.bo can listen to commands and observe his surroundings to form an action or response. What’s great about Q.bo is that not only is it a intuitive robot that is mobile, can listen, and respond, but is also equipped with telepresence technologies, a user can log in through his or her phone to control and steer Q.bo, also stream live video allowing the viewer to see what Q.bo sees in real time and speak in to a microphone to communicate and project audio through Q.bos speaker. Q.bo is comprised of standard robotic component’s that can be bought from any robotic store; its chassis is made of steel and is coated with a non-conductive coating. Q.bo’s outside is made of a mix of ABS, PC, nylon, PP, and POM plastic pieces and are arranged in different colors. Q,bos motor’s come with motor pinions that are made from hard plastics secured by a metal nut and is the color red. XTION Pro adapter and screws are an additional add on buyers are urged to buy, to give Q.bo 3D imaging capabilities, allowing it to scan and map a room. Q.bo’s dimensions are Height 456mm, Width 314mm , Depth 292.5mm, and weighs between 9 to 11 kilograms. Q.bo’s head comes with 3x electric microphones located in the ears, 2x webcams (one per eye), 2x servos that control up and down movements along with right and left movements, 2x additional servos for the left and right eyelids, the mouth contains 20x LEDs, the nose contains only 1x LED, 1x wifi antenna, and 1x Q.board2. The body of Q.bo contains the following; 2x ultrasonic sensors with the option to add 2x more sensors for object detection, 1x sharp infrared floor sensor, 2x DC motors with magnetic encoder, 2x side wheels (back), 1x caster wheel (front), 2x high quality speakers, 1x mini-ITX motherboard powered by intel microprocessor (intel core i3), 1x Q.board1, 1x Q board3, 1x LiFePO4 battery (10Ah), and a LCD Display. Q.bo is the beginning of many robots to come, with the intended goal of self-awareness and conscience. The journey maybe long, but meaningful. 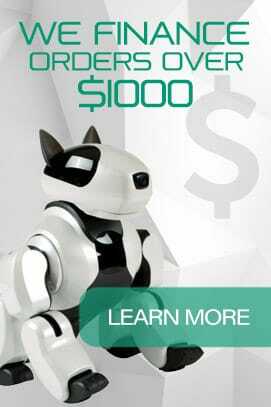 For more information on Q.bo you can call SolveLight Robotics at (877)-407-5969.